These granola cookies are filled with flavor and texture. The batter for these lightly spiced cookies is made with granola, oats, and dried cranberries, and orange juice adds even more flavor. 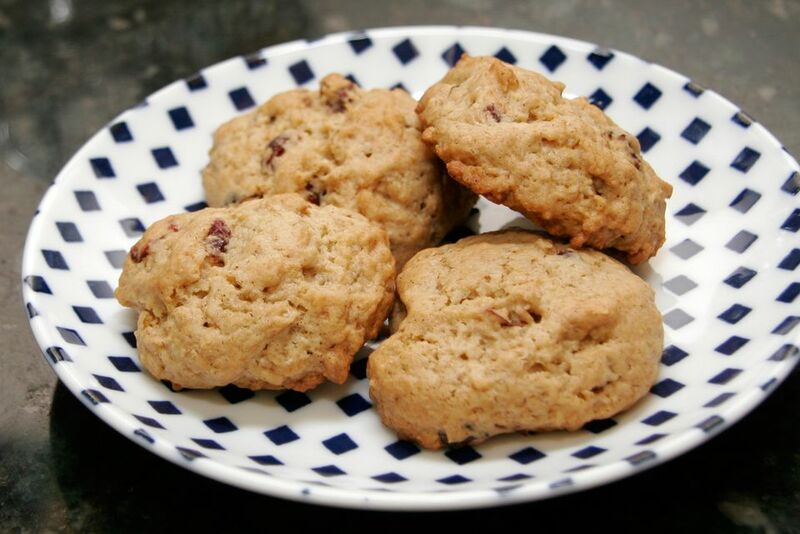 These are excellent cookies for the lunch box or for a weekend snack. Heat oven to 350° F (180° C/Gas 4). Grease a baking sheet or line with parchment paper or a silicone baking mat. Combine the flour, sugars, baking soda, salt, baking powder, and cinnamon in a bowl. In a mixing bowl, beat butter, egg, and orange juice together. With the mixer on low speed, slowly beat in the flour mixture until well blended. Stir in granola, quick cooking oats, and dried cranberries. Drop dough by teaspoonfuls onto the prepared baking sheet, leaving about 1 1/2 to 2 inches between the cookies. Moisten a finger with a little water and lightly smooth out the tops of the cookie dough. Bake the cookies for about 15 to 20 minutes, or until lightly browned. Let the cookies cool in pan for 5 minutes, then remove to a rack and let cool completely. Store in a tightly covered container for up to 1 week.